before they become another expensive injury. Making accurate safety observations can be difficult. But don't worry - we got REFLEX to do the hard work for you. Let REFLEX collect the relevant data, such as which motions your workers struggle with the most, while you focus on having meaningful coaching sessions. Stream safety data directly from REFLEX to your desktop. 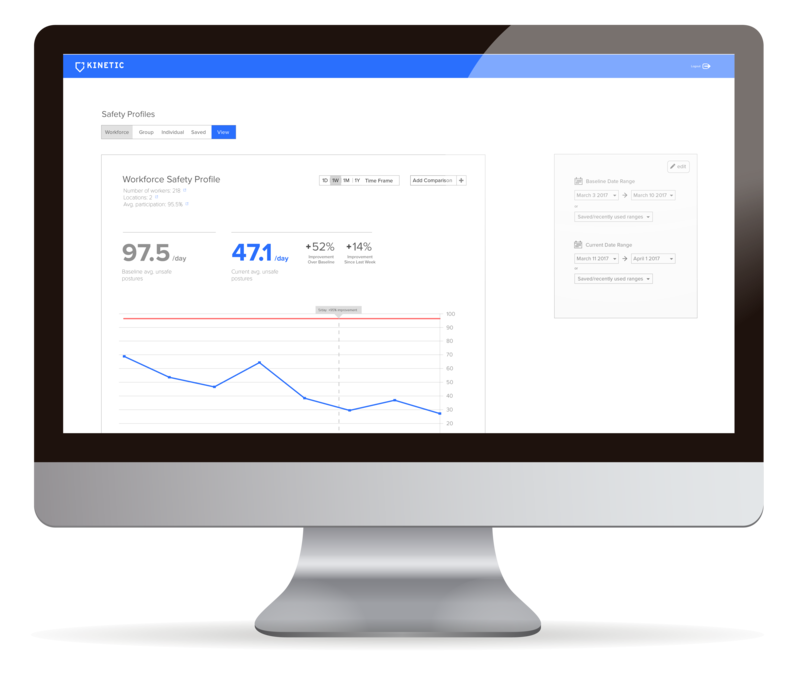 The KINETIC dashboard provides feedback to you quick. 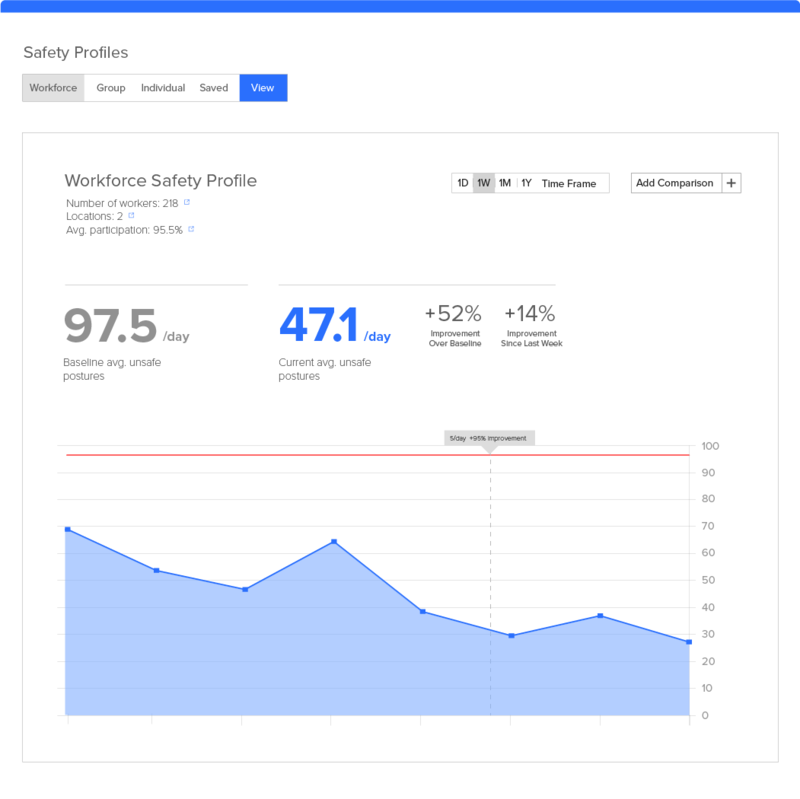 Each REFLEX in your workforce automatically syncs to the KINETIC dashboard at the end of each shift, presenting you with up to date analysis and data that giving you up to date analysis and summaries for your workers' safety habits. Making accurate safety observations can be difficult, why not let REFLEX do the grunt work for you? The KINETIC DASHBOARD compiles the data you need for each of your workers, while you focus instead on having meaningful coaching sessions. View profiles for individual workers, and for your workforce as whole. Coach each of your workers based on their individual data and profile. 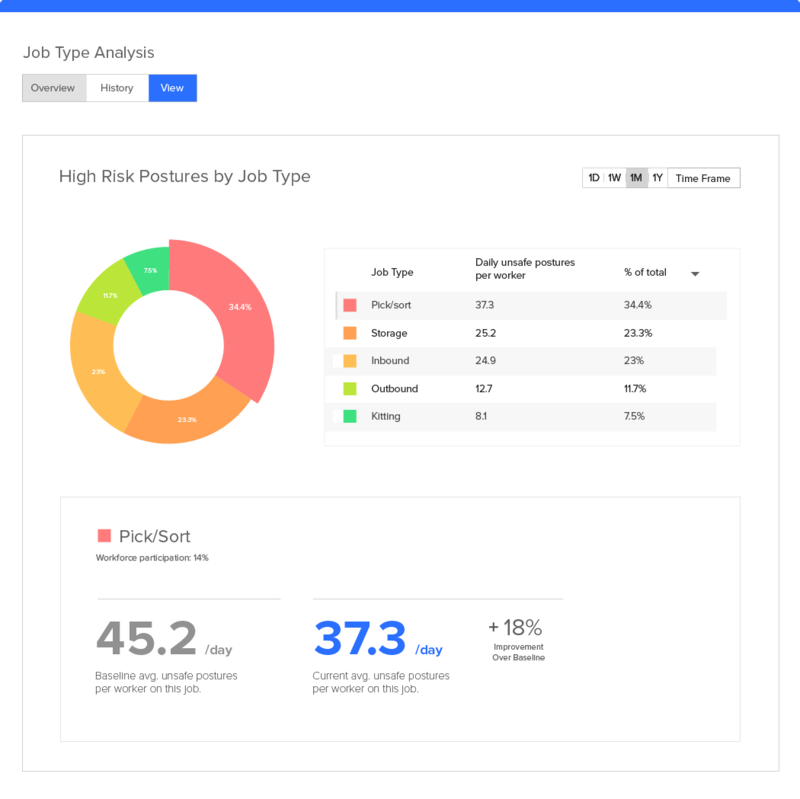 The majority of your injury risk may only come from just a few of your work processes, and the KINETIC dashboard will point right to the jobs that are creating the most risk. Use this data to make informed changes and interventions - and then track the effects over time. Make changes to your workplace practices and measure the effects over time. Typically, the majority of your injury risk will come from only a few of your work processes, and the KINETIC data will point right to them. Once you identify opportunities for improvement, you can evaluate your changes by looking at data before and after the intervention. It’s safety, as it should be. 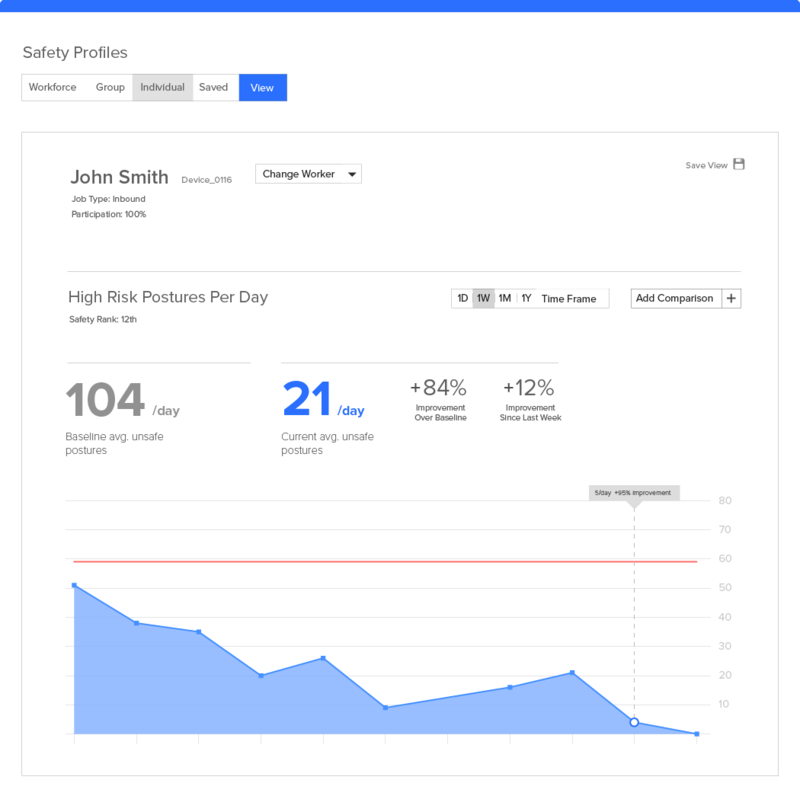 The KINETIC Dashboard gives you have access to unparalleled safety data - right at your fingertips. Use it to influence the decisions you make and empower the interactions you have with your workers. 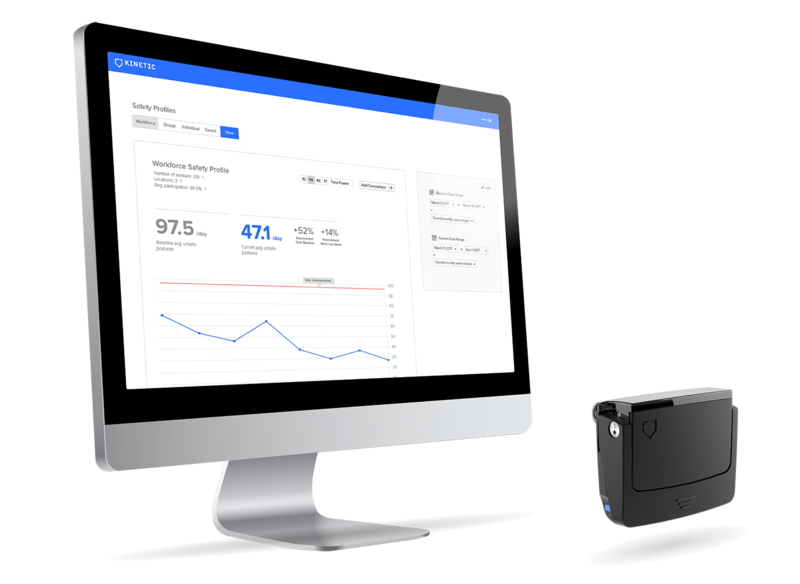 Automatically sync data from all of your REFLEX devices. Receive workforce safety data and summaries on a daily basis.